I hope everyone is doing well! 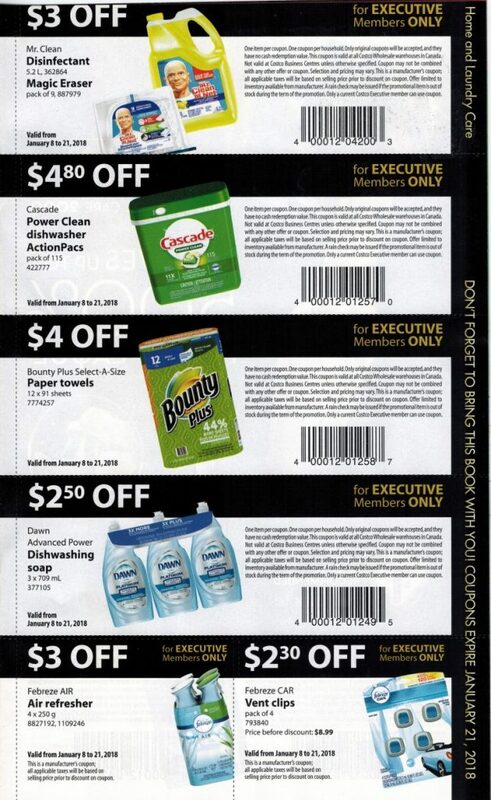 Here are the Costco Executive Coupons that get mailed out. The coupons come in the same package as the Costco Connection Magazine. If for some reason you are an executive member, but are not receiving the magazine and the coupons, stop by the membership desk. Your membership may have the wrong address on file or you may need to opt-in for the mailing list. You may be able to pick up a set of executive coupons at the membership desk – sometimes they have extras. By the way, I received my January Capital One Costco MasterCard invoice in the mail and I didn’t see the rebate cheques that I usually receive. Did anyone else receive theirs? 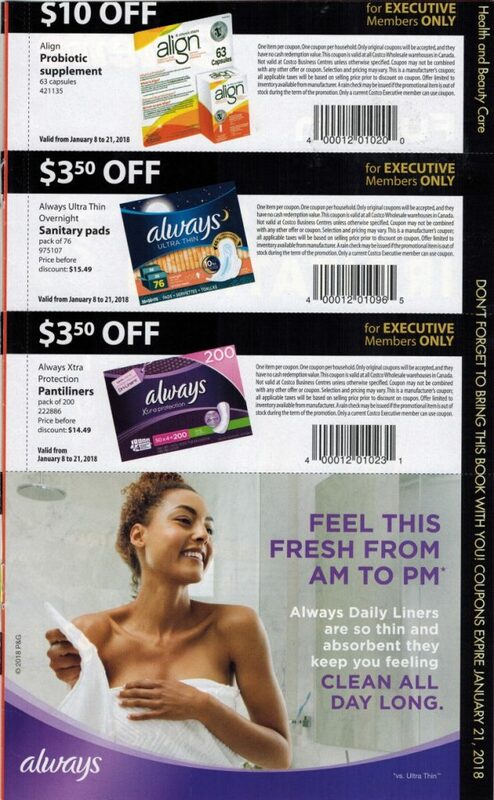 The executive coupons from last year are almost identical to this year’s coupons. 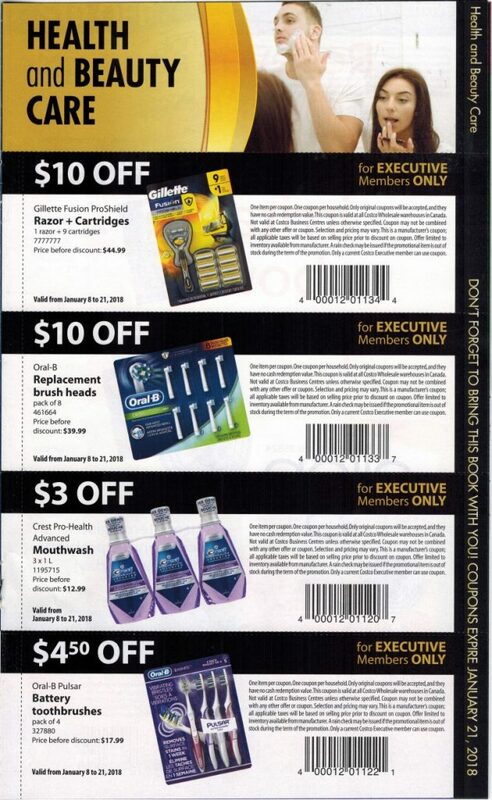 Click here to see the executive coupons book from one year ago. Could I please get some send to me! Thank you! Was there a sale flyer sent out recently listing what is going to be on sale online coming up? Not sure if there is one, if it missed it. Thanks! 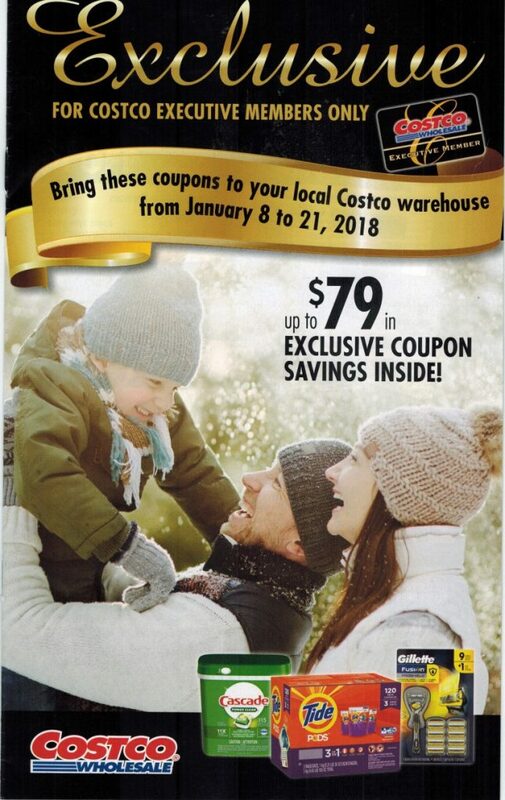 This flyer is only mailed to executive members and came with a Jan/feb Costco connection magazine as well as the online Costco magazine. It comes directly from Costco not here. Hope that helps! I was approached by a Costco person while waiting in line one time. They convinced me to sign up for the executive membership and said that if I paid the extra for the executive membership but didn’t make enough back in the rebate check to break even with the extra membership cost then they would refund the difference. I don’t know if that is always their policy or only when you first sign up only if they approach you in line but it’s worth asking at the membership desk. My rebate cheque has always been enough to just barely cover the cost of the renewal. Funny you say this since we did not spend enough to make the executive membership worthwhile and when we went to ask about this policy, they said it was no longer in effect. This was in the fall… We ended up not renewing their membership at all. We have considered going back. I’m wondering if we just spoke to the wrong person, who didn’t want to give us the difference back or if they’ve brought this back in. Carmen…. Costco used to give you a rebate between the additional cost of executive membership and what you saved…… they cancelled this rebate a few years ago. That’s odd. We just signed up last week for an executive membership and they promised us the rebate. We’re in BC. When are you supposed to get your rebate cheque? Were in bc and have not gotten it. 4-6 weeks before you’re renewal date. Check at member services desk. 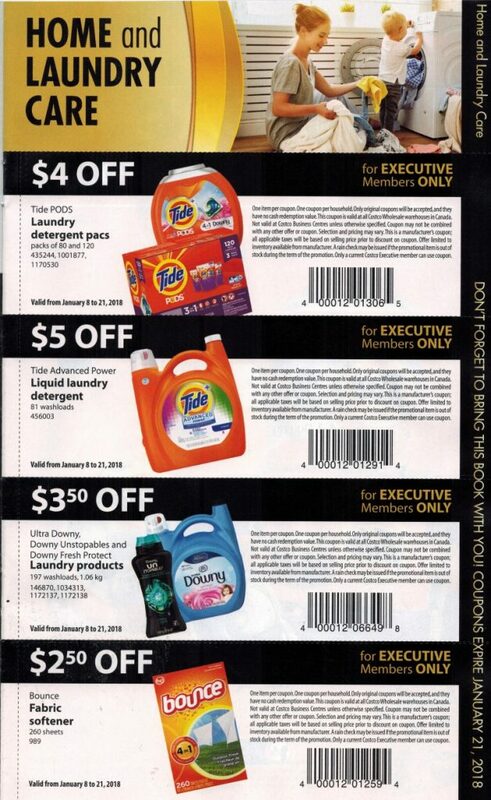 Thanks for alerting Executive Members to these exclusive coupons. I have never received the Connections magazine and/or coupons, even though I have had a black card for many years. I feel that I have been missing out on some good deals. I’m going to drop by the membership desk next time and get signed up! Is there no “secret sale” this week other then the coupons? I’ve yet to receive my rebate cheque as well. I could be wrong but I feel like they send them out closer to your membership renewal date instead of coming with the executive member coupons though. 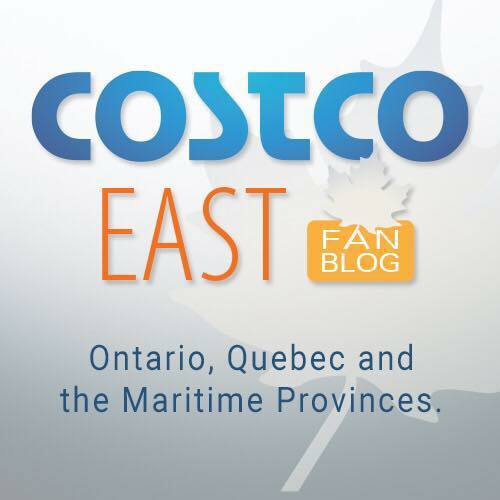 Costco sends your rebate cheque 4-6 weeks before renewal date.